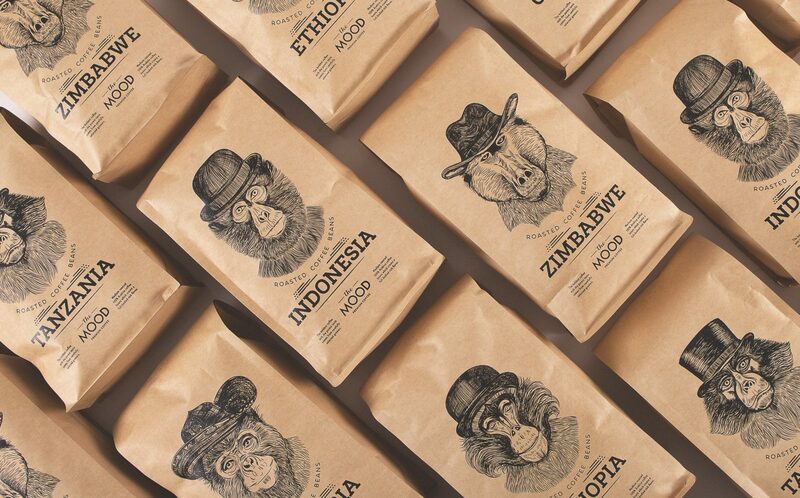 The design showcases five different hand drawn, vintage inspired and slightly realistic monkey faces, each one representing a different coffee from a different region. On their head, a stylish, classic hat. Their mild expression evokes curiosity. 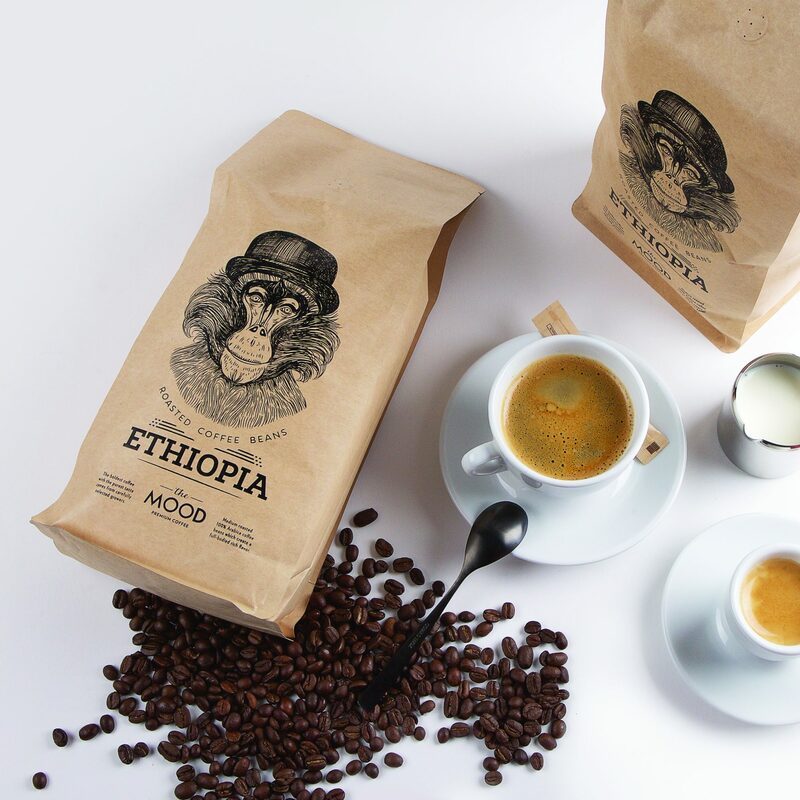 These dapper monkeys imply quality, their ironic sophistication appealing to coffee drinkers interested in complex flavor characteristics. Their expressions playfully represent a mood, but also allude to the coffee’s flavor profile, mild, strong, sour or smooth. 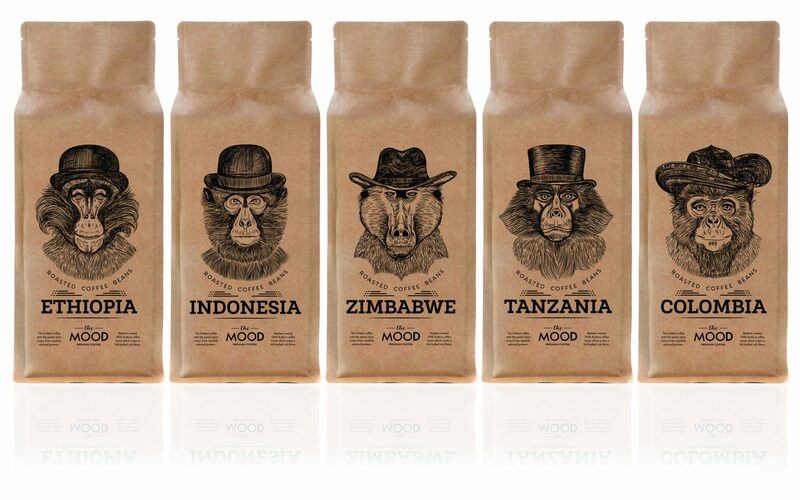 The design is simple, yet subtly clever, a coffee for every mood. Salvita immediately thought of monkeys since they are a common thread among the five coffee regions represented. She was inspired by their expressions and behaviours, which seem to reflect their moods, much like us humans. By using monkey illustrations with expressions that reflect their mood, it creates an impressionable and long lasting image, playful and a bit ironic, especially with a hat on their head. 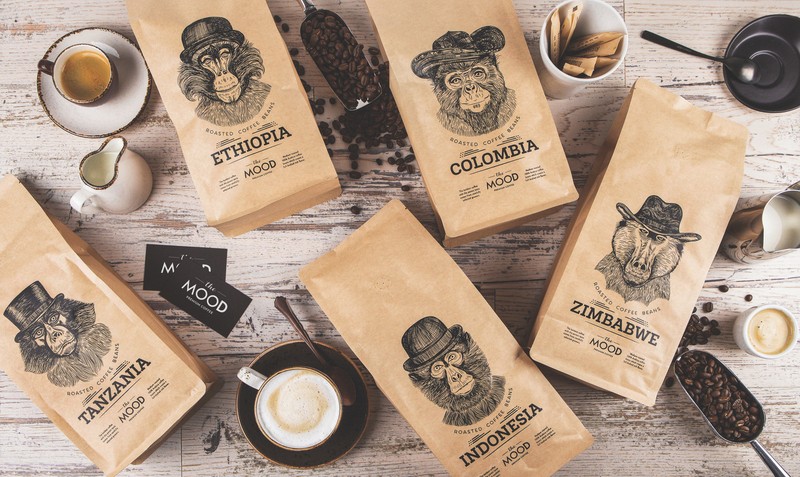 Branding and packaging for an International coffee company’s single origin, premium Arabica beans from five coffee regions – Ethiopia, Tanzania, Indonesia, Zimbabwe and Colombia. The goal was to appeal to a new generation of coffee drinkers: hipsters with old school style and a little extra money in their back pocket, interested in the complex, flavors of coffee, similar to a fine wine or craft beer. Create logo and packaging that would stand apart from the other coffees on the market and easily flow to other products. 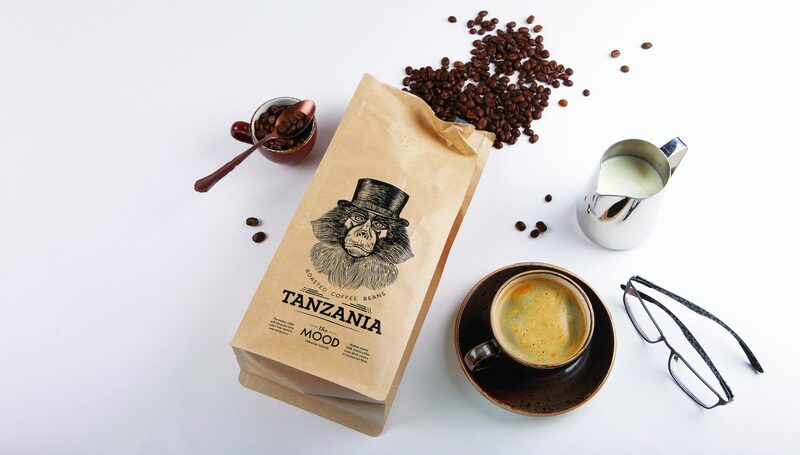 The memorable monkey faces on kraft paper can easily transpose to products like tea and chocolate as well as marketing items such as t-shirts and mugs, making everything cohesive. Hand drawn, vintage inspired illustrations on kraft paper. 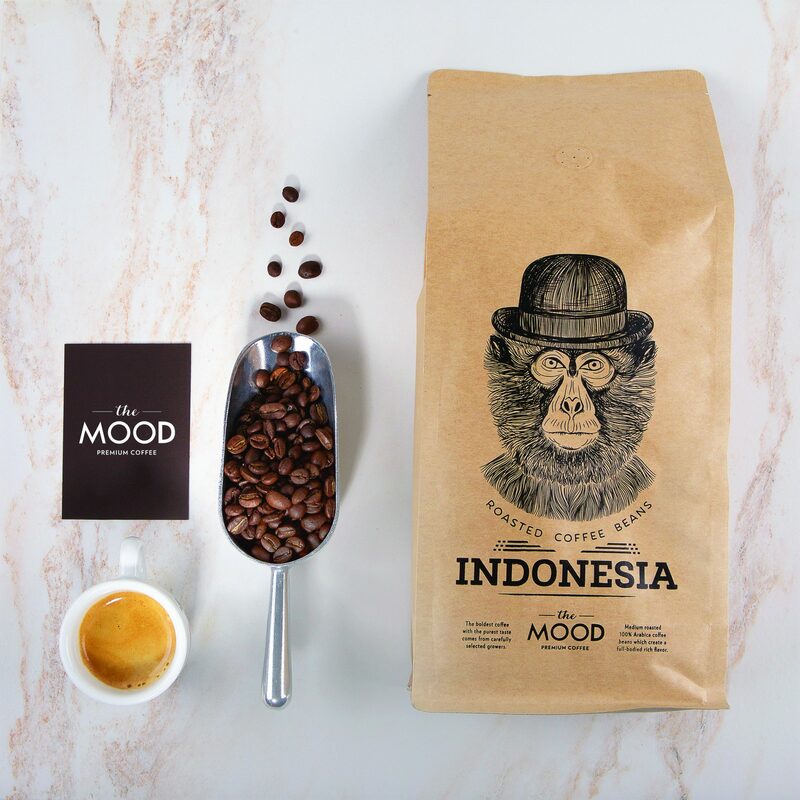 Black ink represents the color of coffee and the monkey illustrations are playful, with facial expressions hinting at the coffee’s flavor profile such as sour citrus or smooth chocolate. The monkey symbolizes diplomacy, intellect and wisdom. Placing a hat on top of their head, further magnifies these traits creating an imagine of sophistication… not only on the bag, but in the bag too. It was very challenging to create monkey expressions that evoked a positive reaction in people. After more than a month of creating numerous illustrations, changing their eyes, expression or entire face, and constantly testing people’s reactions, we finally came up with illustrations that achieved positive results, a sophisticated character with a little sense of humor.